What You Can DoIf you know of someone planning a balloon release, please urge them to consider one of these earth- and animal-friendly options instead. There are so many other symbolic acts that don’t involve the use of balloons. 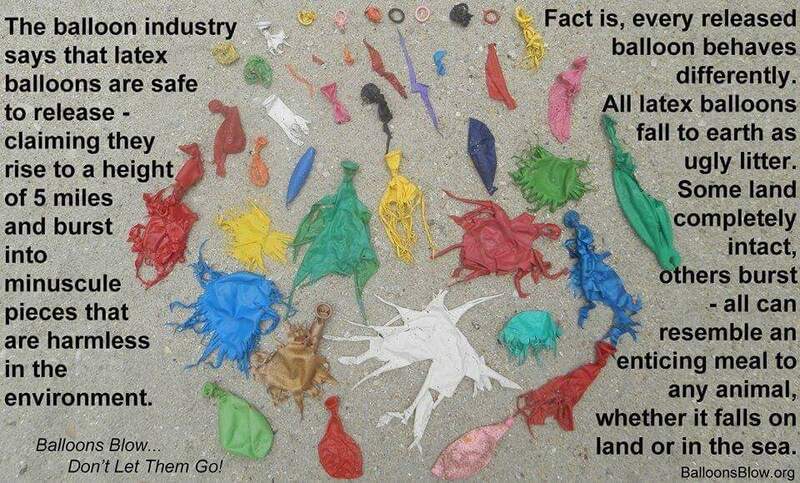 We’ve listed a few options for you below, and you can find more by visiting this website that offers not only fun alternatives but educational materials to help you spread awareness about the dangers of balloons and balloon releases. Bubbles are not only fun but can create stunning photo ops. Watching hundreds of bubbles float up into the sky can be mesmerizing and just as symbolic as seeing a balloon float away, but without the resulting of litter and endangerment to wildlife and marine animals.